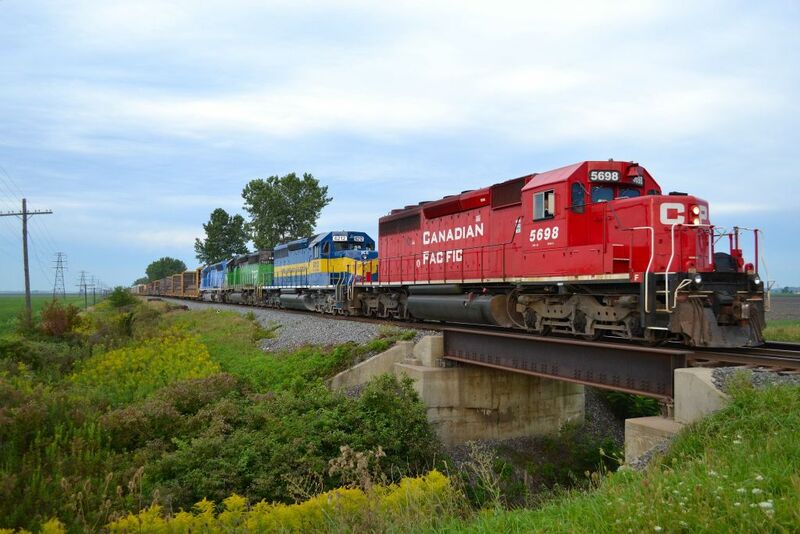 Railpictures.ca - Jay Butler Photo: CP 242 east out of Tilbury with CP 5698, ICE 6212, NREX 7237 & CEFX 3127 as it passes over the bridge at Sinclair Road. | Railpictures.ca – Canadian Railway Photography – photographie ferroviaire Canadienne. Caption: CP 242 east out of Tilbury with CP 5698, ICE 6212, NREX 7237 & CEFX 3127 as it passes over the bridge at Sinclair Road.